What’s the Deal With a Routine? You are no doubt sick of people telling you how important it is to establish a routine for your child in order that they sleep through the night. Of course this helps, but what works for someone else and their child, might not work for you and yours. The key is to experiment and find a routine that suits you both, so don't be swayed by conventional wisdom of what is correct. The main thing to remember is that you need to make sure your preschooler has an hour before their bedtime in order to wind down. For you it might work to make this hour later than some others. Of course all children are different — all people are different, so this stands to reason. Allow time to wind down, and avoid letting them watch TV or play on the computer. Of course this all helps, but some little ones will still wake up at all hours, no matter how well settled they appear when you put them down for the night. Then what do you do? How Can You Stop Your Child Waking In the Night? The biggest problem of all in solving your child's sleep problems is night-time waking. Getting up at 2:00 a.m. is something you thought you'd left behind when your child passed out of infant stage, but night time waking is a sleep pattern that affects even adults. Adults, however, have learned to settle ourselves back down to sleep — and that's the key. In time, your preschooler may only need their favorite toy to cuddle, a drink of water, or a visit to the toilet, and they will settle themselves back down. Before then though, you are going to have to help. Controlled crying does not work on preschoolers. They will either keep on crying, moving on to screaming, or simply get out of bed and keep coming into you. This is the biggest problem in getting a preschooler to sleep soundly — they are able to do much for themselves now and are developing their own opinions. If giving them a cuddle and staying with them a while to help them back to sleep works, then do it. If it happens for weeks on end, then explain that you will just stay a little while. Then finally just tuck them into bed and a cuddle should do the trick. Suggest they have a little drink, or a cuddle from their toy as an aid to help them to sleep if they wake again. If it gets to the point where they just keep getting back up, then determination and repetition are your weapons of choice. Tell them firmly that it is night time, it is time to sleep, and put them back in bed. If they keep getting up, then keep putting them back. It can take over 100 times the first time you go through this and it is extremely harrowing and exhausting. It is all too easy to give in when you are so tired, but persevere and in a few days you will be through it. This isn't a quick one-night fix, but a lot of sleep problems can be solved more quickly than you may think. What About Waking Up Early? By this age, your child will know the difference between night and day, moon and sun, but it can be confusing when summer mornings begin early, and winter mornings are dark. This is where the use of a clock comes in. No one is expecting a preschooler to tell the time, but you could put a sticker over the number 7 for example, and tell them that they aren't to get up until the little hand reaches the sticker – or lose the sticker all together and use it as a way to teach them numbers. There are also a range of clocks on the market designed to make this process easier. Some of these look like regular clocks, such as the bunny clock, but the bunny is sleeping and then its eyes pop open, and ears stick up when it is time to wake up. Reviews of this product are mixed, as it can be quite noisy, but it is a budget alternative that is worth trying. More expensive digital models such as the groclock, forego the use of a clock altogether and show the moon when it's time to sleep, and then the backlight changes to yellow and the sun appears when it's time to get up. There is also a beeping alarm function. It is pricey (£40), but I can vouch for its effectiveness – the extra sleep is worth the price. 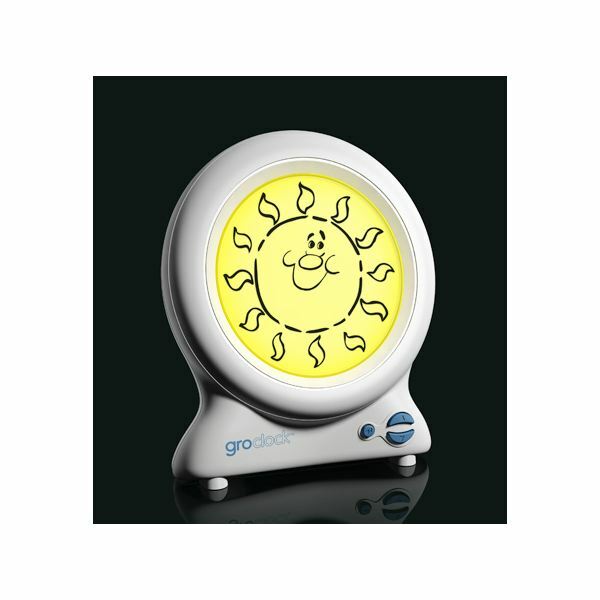 It can also be used as a regular digital alarm clock as your child grows. If your child keeps waking at the same, early hour of the morning, and is unable to settle themselves, then you might want to try the following tip for solving early morning waking. Set your alarm for one hour before the time they are waking at. Go in and wake them, but not fully, unless you can help it. This will then interrupt the sleep pattern, meaning that they will settle down hopefully through to the time you want them to wake. Setting your alarm for 4.30am may be a bind at first but you won't have to do it everyday, they will soon establish this as a regular sleep pattern. To solve your child's sleep problems just takes a bit of courage, and above all firmness. 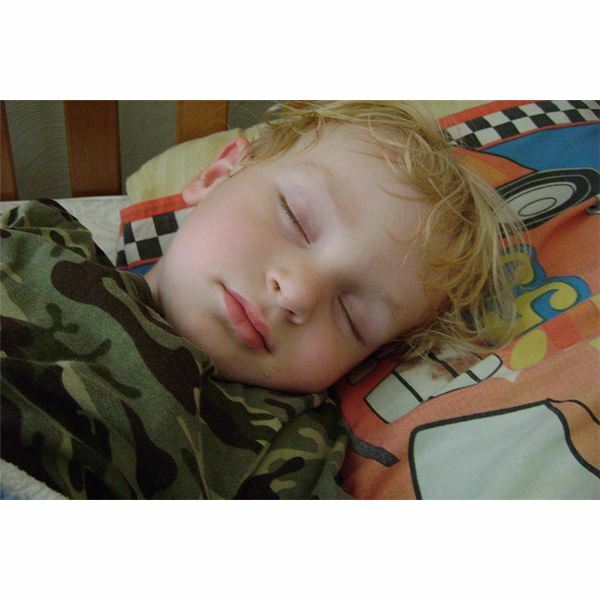 In the long run both you and your preschooler will be benefiting from more sleep.